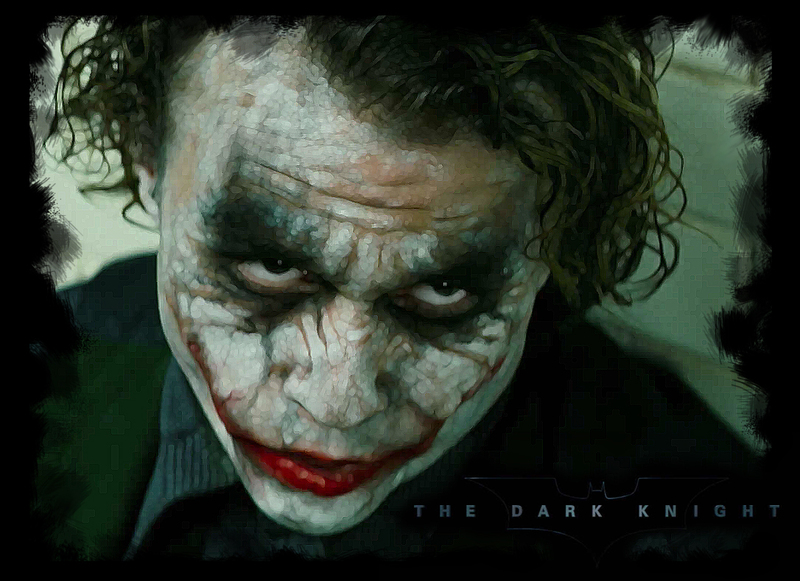 The Dark Knight’s Joker Is A Mystical Trickster Not Mad Super-Villain | ab initio. ab intra. Right off the bat, (pun intended) this is not really a review of the film, The Dark Knight, but my thought of who or what the Joker represents in the film. Heath Ledger’s final film role as The Joker is amazing. He inhabits the role. One completely forgets the actor. Even when he isn’t on screen, the Joker’s presence is palpable. This Joker is someone who should and probably has danced with the Devil in the pale moonlight. This Joker, like his best appearances in the comics is NOT a super villain, but a force of nature. 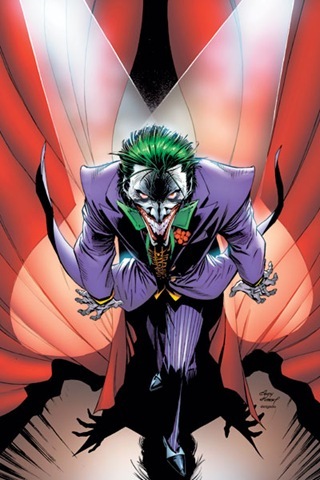 In the film, Joker mentions to The Batman that he is an “Agent of chaos.” I agree. My impression of the Joker is as a Trickster. More closely aligned with Loki, Anansi or Manabozho than Lex Luthor, The Riddler or Scarecrow. In Native American traditions, the Trickster alternately scandalizes, disgusts, amuses, disrupts, chastises, and humiliates (or is humiliated by) the animal-like (Bat?) proto-people of pre-history, yet he is also a creative force transforming their world, sometimes in bizarre and outrageous ways, with his instinctive energies and cunning. Eternally scavenging, he represents the most basic instincts of chaos. The landscape of the film is that of the unconscious, where archetypes roam unfettered by the restraints of the waking world. This is the realm of the hero’s journey, fraught with all the peril that implies. In Tim Burton’s Batman, the Joker’s origin is shown in detail. It’s revealed that he’s the street hood who kills Bruce Wayne’s Parent’s, thus creating the psychotic schism in young Bruce. It’s in turn shown that the newly minted Batman inadvertently creates the Joker. The Yin and the Yang. The balancing forces or the Father and Son in Star Wars, literally balancing The Force. The character of the Joker represents The Batman’s ID. In this world of archetypes that the movie inhabits, where super-powered beings live, help and menace the World. It’s not a great leap to believe that the existence of The Batman in this World called into existence the antithesis of his force. Just by being, The Batman, created the Joker. 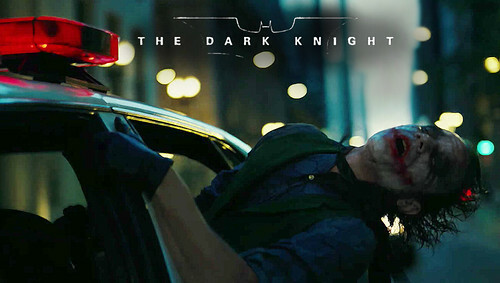 Existence needed the Joker, not as a man, but a force of nature. In this case, a Trickster. The Joker’s complete detachment from the material world, from life itself, renders him beyond simple good and evil and into another category altogether, the complete and impersonal danger of anarchy. Ledger’s Joker, giggling with delight over the mayhem he causes with a perfect indifference over the outcome is such an overwhelmingly dynamic performance that it overshadows everyone else, despite excellent work, including Christian Bale, who is wonderfully tortured, dark and achingly vulnerable. Joker is the Trickster in the archetypal sense. It’s my prediction that when Heath Ledger is nominated for an OSCAR, it’s as Best Actor, not Supporting. Best known for his work in the fields of comparative mythology and comparative religion, Joseph Campbell relied often upon the writings of Carl Jung as an explanation of psychological phenomena, as experienced through archetypes. The role of the hero figured largely in Campbell’s comparative studies. In 1949 The Hero with a Thousand Faces introduced his idea of the monomyth (a word borrowed from Joyce), which outlined some of the archetypal patterns Campbell recognized. Heroes were important to Campbell because, to him, they conveyed universal truths about one’s personal self-discovery and self-transcendence, one’s role in society, and the relationship between the two. Joseph Campbell, called these synchronous symbols mythic images that lay at the depth of the unconscious where humans are no longer distinct individuals, where our minds widen and merge into the mind of humankind. Where we are all the same. Below are Campbell’s steps of the Monomyth and my notes of how they are represented in the two films, Batman Begins and The Dark Knight. There are 3 parts and 16 steps to the Monomyth. ← Dr. Horrible’s Sing-Along Blog Is A ‘Site Crashing Success’!! Your’e the best man; you practically did my project for me. In one of my classes, I had to find a contemporary trickster and apply it to the definition of a trickster. You seemed to nail every point and most of all you even made a reference to Jo Campbell. Good work. I hope they do not make another, personally. How can they top what they have done? Very informative man. kudos to you and your work man. David M. on behalf of our team, we respectfully request your permission to use your material as a reference in our presentation of the trickster in myth for our school presentation. I have no way to contact you directly but I wish to credit your work. I would like to complimment you on a very nice written piece. I am soon to be a junguian and my thesis theme is about Hermes and the figure of the trickster. I agree very much with your statement and if you look hard e lucha you will notice his presence almost anywhere! Good Job Again mate!